After UK-based author Xiaolu Guo visits Coochiemudlo Island, off the Queensland coast, she grows fascinated with the history and philosophy of islands and those who inhabit them. Is there really an Island Mentality as opposed to a Mainland Mentality? What happened the Sentinelese people on their isolated little strip of jungle? And, in the overall scheme of things, are all human beings really just islanders, fated to disappear while our earthly island remains? In the film, there is an island. Since I saw it fifteen years ago, this faded colour documentary has haunted me. It was shot from a small boat, off the coast of the island. The occupants of the boat were there to record the behaviour of the island’s inhabitants. In the gaze of camera’s long lens, naked tribal men are frantically running along the beach. And our civilized modern documentary makers watch them from the sea – afraid to set foot on shore. When I think about these images, they remind me of the early anthropological films of Robert J. Flaherty or Jean Rouch. The violent dance of the islanders remains forever a symbol of innocence in my memory. They are members of the Sentinelese People, and they lived on North Sentinel Island in the Indian Ocean’s Andaman archipelago. With thousands of years of isolation from the world, their hostile attitude towards outsiders was famous. Stark, black, African-looking, lean with strong legs, they ran like leopards across grassland. You can tell this even from the blurred images shot from a distant camera on a boat. As well as the cameraman, there were three other men in the boat, including a thoughtful-looking Indian anthropologist. 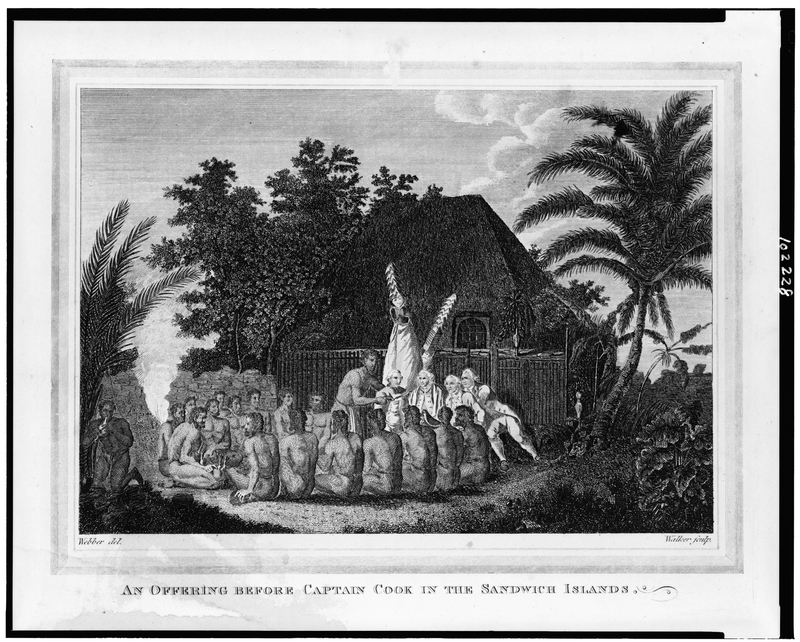 The trip was intended to be a ‘Contact Expedition’ with the tribe on the island. But it didn’t work out like that. In the documentary, you can see the tribal people growing more and more angry as the boat gets closer to the island. They raise their spears and scream at the approaching filmmakers. It looks as if they are going to launch their weapons at the invaders. The camera keeps filming these gesticulating natives. Occasionally, the islanders fire a shower of arrows at the boat people. The boat stays on the wavy, windy sea, in deep, treacherous water, which can’t easily be accessed by any swimming natives. The thoughtful-looking anthropologist says something to his colleague, then the colleague begins to shout incomprehensible language to the islanders, whilst, in a vain gesture of friendliness, he raises two coconuts and a few bananas. We modern audiences understand this sort of body language easily, but it doesn’t work for the Sentinelese people. They continue to jump in rage along the shore with their spears and bows pointing towards the boat. An island with life is a blessing of nature, but also a curse. The film has an old-fashioned BBC voiceover telling the story. It explains that, earlier in the day, the boat had got close enough to the beach for one of the crew to jump out with a live pig in his arms. He was able to tie the pig to a tree on the beach as fast as he could and then rush back to the boat. They then waited on board, scanning the jungle beyond for a reaction. At first, no one came, the pig from the civilized world being the sole creature in view. Then, gradually, a few dark bodies emerged from the tree shadows. They seemed to be frightened by the strangers on the sea and by the pig. Then more and more tribal men arrived, carrying spears and arrows. After producing some threatening body language, the men slaughtered the pig, but didn’t take it with them. They buried it instead. Then they left, disappearing whence they had come. If we were to die out in the future, then our narrative in history would be like that of the Sentinelese people on their isolated little strip of jungle ringed by yellow sand. I’m not sure exactly when this documentary was made, but it was easily three or four decades ago. Probably in the 70s. The voiceover tells me that the Sentinelese were one of the last hunter-gather people on this planet. Because of their violent attitude towards outsiders, people have left the island alone. The last census undertaken by the Indian government in 2001 counted 39 people living on the island. But this number was arrived at from a distance, observing and counting roughly from a boat, or a helicopter. Some people were probably hiding in caves while this was being done. It was estimated there could be 200 people in total. It wasn’t known what kind of language they spoke. Their religion remained unknown too, and their ethnicity was also unclear. But anthropologists believed that they were the direct descendants of hunter-gatherer people out of Africa. They probably arrived on their island 50,000 years ago and continued their lifestyle until today. Well, not actually today – the last news about the island was in 2006, when the inhabitants killed two fishermen from India who ventured too close. And now it is believed the Sentinelese people have all died out. But still, the Indian government won’t allow any foreigners access to this place of violent mystery. So no verification of the extinction has occurred. Is there really an Island Mentality as opposed to a Mainland Mentality? An island with life is a blessing of nature, but also a curse. To live on an island even teeming with life is to face limits of resources. Islanders either have to venture out into dangerous, unknown waters to find sustenance, or remain on land dealing with an essentially limited supply of nutrients. This is not the predicament of mainlanders. The mainland has no clear borders, and what borders there are can be crossed. In the old days, there were always pack animals with which to transport goods over mountains, and in modern times there are guns to force doors open. The Chinese had to build the Great Wall of China through centuries to defend themselves. Even so, man-made borders are always shattered in the end. The Mongols conquered China on horseback without even needing to cross the Great Wall. The Palestinians have managed to dig tunnels out of the Gaza strip to transport goods and human beings back and forth. In an ideal world, people should never try to live within borders, but rather learn to live with openness. Openness allows people to adapt and to change with all sorts of influences, even sometimes violent ones. The ceaseless transformations of maps is a demonstration of cultural overlap and integration, even though, in the course of this flux of conquest and settlement, some cultures are overridden by others. To be Homo sapiens means to have an island mentality – we are unable to perceive what’s beyond our human life, let alone understand this Universe. As a species we have developed a narrow vision, an aggressive attitude towards other species. The island of Britain, where I have made my home, is the largest island in Europe. More than 60 million people live on this rainy and windy landmass, vying for jobs, for opportunities, and for the so-called democracy and liberty that lots of Third-World immigrants came here for – at least in the first place. It is definitely the most crowded island in the western world, whether Scotland leaves it or not. Still, it is perhaps not the best place to search for examples of Island Mentality. There are two reasons why at least parts of Britain have shaken off any Island Mentality. Britain has always been invaded, by the Romans, by the Vikings, by the Normans. Its culture has been mixed and its politics reshaped all the time through history. Secondly, Britain had an empire. The island of Britain expanded spectacularly beyond its shores to swallow a third of the world. Britain, by overcoming its Island Mentality, produced some of the best thinkers of our modern world. Since coming to Britain, I have become fascinated by travellers and explorers who have left the confines of this island. People like Captain James Cook or Robert Louis Stevenson. Stevenson was a perfect example of the romantic adventurer – he first journeyed out to America because of his lover. Then he was on a perpetual mission to find an ideal home to live in. Later in his life, he decided to reside on the island of Samoa in Polynesia, which for him was a perfect abode. He made a strong friendship with the islanders. And he died there. In his last years he wrote, ‘Sick and well, I have had a splendid life of it, grudge nothing, regret very little … take it all over, damnation and all, would hardly change with any man of my time.’ I believe in the sincerity of his words, as far as it’s possible to believe a fabulist. James Cook conquered islands, and was killed by islanders. Robert Louis Stevenson made peace with them. In the course of history, races have mixed, ethnicities have diversified. Still, humans are all Homo Sapiens. And to be Homo sapiens means to have an island mentality – we are unable to perceive what’s beyond our human life, let alone understand this Universe. As a species we have developed a narrow vision, an aggressive attitude towards other species. We think human goals on this planet are the first and foremost goals. As a result we have shaped our landscape as it is now, but at the cost of the extinction of many other species. We have overpopulated, heavily polluted this planet Earth. And of course we don’t give much of a damn for the next millennium since we can’t even be bothered to think beyond the life of our grandchildren. If we were to die out in the future, then our narrative in history would be like that of the Sentinelese people on their isolated little strip of jungle ringed by yellow sand. The people of the tribe disappear, and the island remains. Not long ago, I went to another island in the South Pacific Ocean. It is a much smaller island than North Sentinel Island, only 5 square kilometres in size. It is Coochiemudlo Island, just off the Queensland coast of Australia. Coochiemudlo is an aboriginal word meaning red earth. One can clearly see the deep red soil in which the gum tree bush is rooted. The sand on the beach is also brown red, even after being repeatedly washed by the sea. The soil is from an ancient volcano, which explains the lush vegetation on the island. But the mad sprawl of mangroves is the most impressive thing. Mangroves thrive where there is salt water and a tropical, or semi-tropical, climate. They shoot their roots deep in the sea water, then release salt on the surface of their leaves. A magical process! Unlike us! But it is said that the increase in growth of mangroves indicates climate change – seawater has been swallowing more land, and the temperature has been rising each year. In any case, Coochiemudlo is nearly perfect as an island in a romantic sense. It is compact, blue and sunny during the day. And at night it has the most beautiful clean and clear starry sky. The houses are in typical Queensland style – timber construction, high-set, one or two storeys, with a rusty but rather charming veranda space. Each is attached to a little patch of land, and there are always one or two old gum trees standing in the front like guards protecting the house. I was told there are about 500 houses on the island, and 700 people living there. The average age is around 52, and of course most of the inhabitants are retired people. 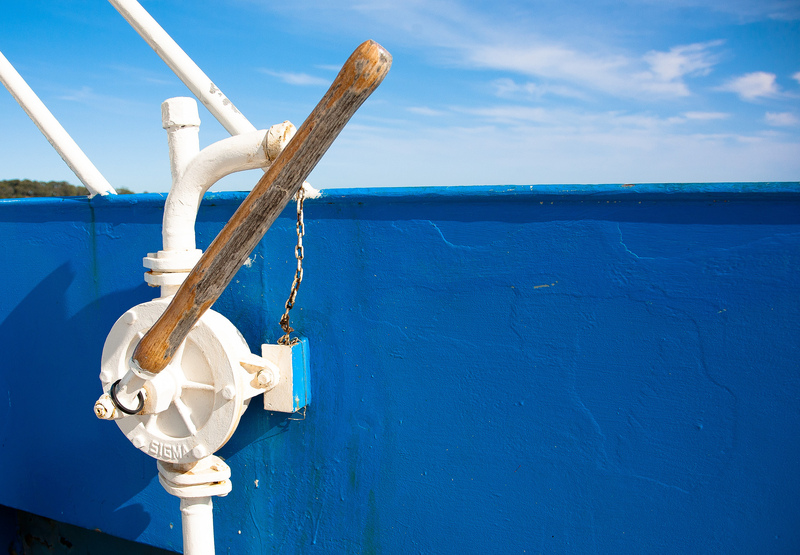 A ferry is the only public means to take the islanders back and forth to the mainland. I went to Coochiemudlo to visit my friend and his family. They used to live in Brisbane and Sydney, but have now retired to the island. Life becomes much simpler with only two streets, one library and one shop. Wherever you walk you hear only hear the waves and the sound of birds hidden amongst the foliage of trees and shrubs. The first time my island friends and I heard a bird on a gum tree chirping like a mobile phone, I burst out laughing. The mobile phone sound was so strange coming from high up in the sky. Anyone would be momentarily puzzled to hear such a noise whilst walking in a quiet tropical island. As we went further, another bird on a tree made another mobile phone ringtone. We stopped and stared at the bird as it cleverly imitated a piece of indispensable human technology. I felt sad and subdued that the pure tones of the birds, their pristine mating cries, had now been reprogrammed. There were three of us – I mean, three humans – each of us carrying a phone with a different ring tone. The birds were already picking up on these differences! I stayed on the island for a few days, every morning walking on the beach and then in the afternoons creeping through the hidden tracks of the Wetland areas, where the mangroves dip their toes in the salty water. No supermarket, no cars, no urban scenes. One evening, those faded images filmed from a boat in the Indian Ocean returned to me. I remembered the Sentinelese people running like wild leopards along their beach. I missed them, as if I was one of them, as if I too belonged to that mysterious land. As I was taking the ferry, leaving Coochiemudlo for Victoria Point on the mainland, I looked back at the island I had stayed on, and wondered about its history, before the British arrived, before Captain James Cook’s boat ran aground on the Great Barrier Reef. It is said that the English explorer Matthew Flinders was the first western man to set foot on this little island, at the end of eighteenth century, while he was searching for a river in the southern part of Moreton Bay. This was twenty years after James Cook ‘discovered’ the east coast of Australia. But before James Cook, before Matthew Flinders, obviously there had been the aboriginals living on that land for 60,000 years, at least. I took a flight to Melbourne and prepared for my trip back to England. I was not looking forward to returning to London. What would be waiting for me there? Electricity bills or balance sheets from Thames Water? Probably another overdue council tax demand? And surely many more glossy posters and ads from Estate Agents. Property renting and buying, that’s the current passion in our urban world. I remembered the Sentinelese people running like wild leopards along their beach. I missed them, as if I was one of them, as if I too belonged to that mysterious land. Sadness, Dr T. N. Pandit. You mean this sadness was born from the islanders’ final surrender – which they manifested in the way in which they greeted the modern intruders on their beach? Sadness. What an acute and sorrowful description. But I still wonder, why were the Sentinelese people sad if they had never been to the outside world? They had never been able to compare the two worlds. Perhaps the face to face confrontation already convinced them of their disadvantage. Somehow, the tribe members knew that the intruders wanted something from them, and indeed, would change them for ever. I read in Dr T. N. Pandit’s report that the last 200 inhabitants of North Sentinel Island had died. How had they gone, exactly? Too little food on the island? All the animals were killed by the tribe and became extinct? Sharks attacked them while they were fishing by the shore? Women died during labour, or from infections after child birth? A tsunami or an earthquake decimated the population? Perhaps all of this. Only the island knows what happened to its inhabitants. Yet on the sub-continent, on the mainland of India, the population has reached more than 1.2 billion. Everywhere you go, there are people. And people only. Children live in the streets without homes, people die in the streets without being cared for, but the economy is growing according to the government. The GDP is catching up proudly with China and the US. This is our very ordinary human story: the dying-out and the ever-expanding pattern, the two poles of this planet Earth. Whether we look back into history or forward to the future, we all aware that we humans have only one island to live upon and that is the island of our planet Earth. So, we must be careful. This article was produced as part of Weather Stations, a global project that places literature and storytelling at the heart of the conversations around climate change. The Wheeler Centre is one of five partners in the project. 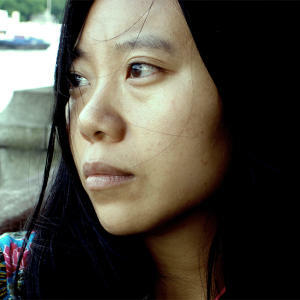 Xiaolu Guo posts regularly at the Weather Stations blog. One of Granta’s Best of Young British Novelists under 40, Xiaolu Guo is profound, incisive, funny and often disturbingly accurate.